IRVINE, Calif., June 19, 2007 — Mitsubishi Digital Electronics America's Presentation Products Division, known for award-winning, high-quality, high-definition presentation and display products, continues its commitment to bringing affordable high-definition home theater projectors to the forefront of home entertainment with its entry-level 1080p HC4900 projector. With a suggested price of $2995, Mitsubishi's HC4900 makes high-definition, 1080p home theater experiences more affordable. Adding to the low overall cost of ownership is its rated 5000-hour lamp life in low mode and a convenient side access lamp for quick and easy lamp changes. The HC4900 is also extremely quiet so dramatic scenes are easy to hear with its ultra-hushed, 19 decibel level in low mode. "The HC4900 has a great combination of features for its price, making high-quality, 1080p high-definition home theater even more accessible to people who are making the switch from traditional TVs," said Wayne Kozuki, product manager, Mitsubishi Digital Electronics America's Presentation Products Division. The HC4900 is designed with three C2Fine™ inorganic LCD panels that are more durable and provide a more color-consistent, even-toned image than previous generation LCD panels. A protective filter is added to the LCD block housing to help reduce dust and particles landing on the LCD panels, producing cleaner images. Blasting 1000 lumens with a specified 7500:1 contrast ratio and dynamic iris control, the HC4900 provides crystal clear and finely detailed imaging in racing scenes or film noir. With flexible HD connectivity, the HC4900 offers both HDMI and DVI for the true HD experience. Power zoom, focus and lens shift add value to this projector and make installation quick and easy. "Mitsubishi is a clear leader in affordable 1080p home theater projectors, and we're excited to announce the HC4900 as an addition to our award winning home theater projector line," said James Chan, director, product marketing, Mitsubishi Digital Electronics America's Presentation Products Division. 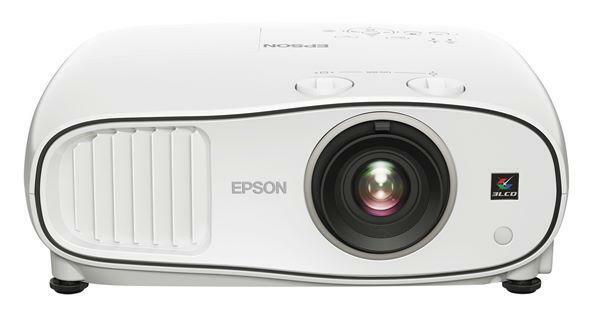 "Our new 1080p projector strengthens our position even more." The suggested price for Mitsubishi's HC4900 is $2995; it will be available in June through authorized Mitsubishi dealers and popular retailers. The projector comes with Mitsubishi's two-year limited warranty on parts and labor plus a 90-day limited warranty on the lamp.